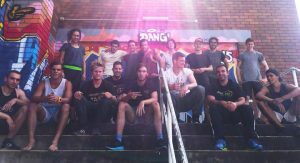 Parkour is one of the world’s fastest growing physical activities, and Jump Squad is stoked to be at the forefront in Australia. 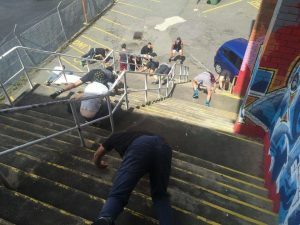 Senior Instructors Djordje and Max have created a new ‘Parkour Foundation – Instructor Training’ program, and the PCYC was keen to be the first organisation to take part. Over two days in January 2016 a group of 13 PCYC coaches came from all over regional NSW to take part in Jump Squad’s program. They all had different backgrounds in movement and teaching. Some had previous Parkour experience but no teaching, and some had previous teaching experience, but no Parkour. Luckily, Djordje and Max were prepared for this diverse skill set. Over the intensive two days, the coaches become familiar with teaching, demonstrating and the philosophy behind Parkour. Afterwards, the coaches took their new learned skills back to their local PCYC, where they could practice and perfect teaching and demonstrating the basics of Parkour. Today, there are well over 100 weekly students in Parkour classes being run in PCYCs across NSW – Amazing, keep it up guys and girls! Jump Squad is excited to be in the process of planning the 2017 program. 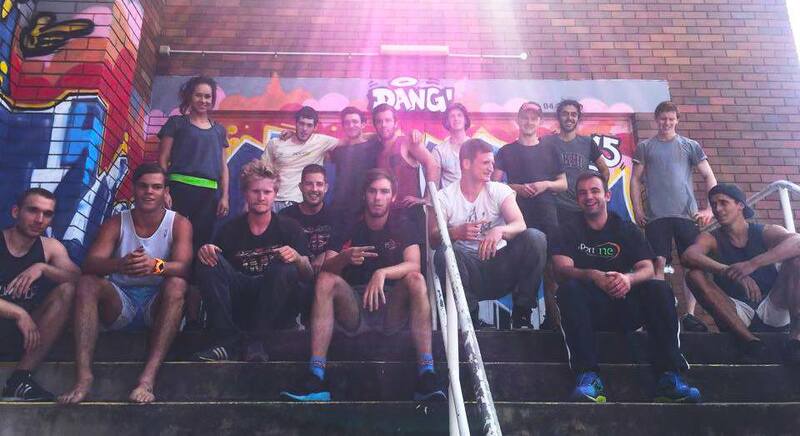 The future of Parkour classes in Australia is looking very bright! The next generation of PCYC parkour instructors after a classic Jump Squad conditioning challenge.